HAVE YOU OR A LOVED ONE SUFFERED FROM GYNECOMASTIA AFTER TAKING RISPERDAL BEFORE THE AGE OF 21? 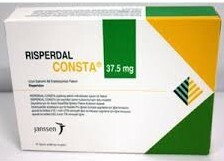 The use of Risperdal may increase the risk of Gynecomastia, which is when young males experience large breast growth. Answer these 3 Questions to determine you or a loved one’s eligibility. Is the victim a male who began taking Risperdal before the age of 21? Did the victim take Risperdal between years of 2000 to 2008? Has the victim had significant male breast growth? If you answered yes to these 3 Questions it may be time to seek legal representation. Contact us today. You may be entitled to compensation.